Collection of neo-vintage metal lamps with a double-sided diffuser in borosilicate glass. The metal domes (one internal and the other one external) have the internal side with different colors or finishing: they can be painted or finished in polished brass and bright copper, thus to create different textural combinations. The collection presents hanging lamps, floor lamp, table lamp, wall and ceiling. 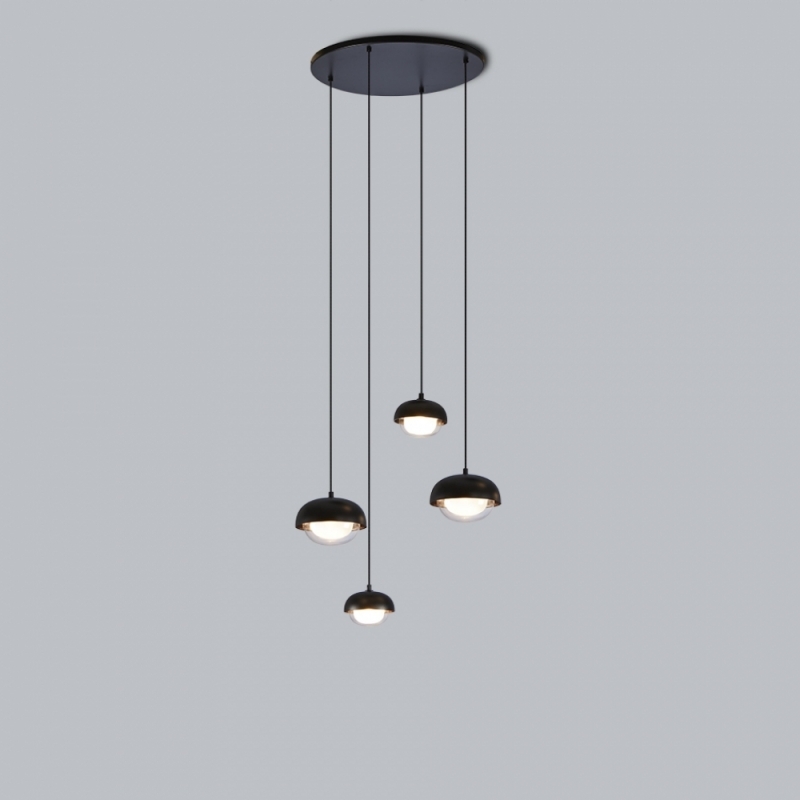 The hanging and wall lamp version are provided with a further G9 source located in the lower part of the lamp.